Why And How To Use Site Authorization In Google AdSense? Home > Blogging > Why And How To Use Site Authorization In Google AdSense? Hey AdSense lover, If you are new to AdSense platform and do not let your Google AdSense account disable for invalid click activity then this post is for you. In this post I will share an optional but important feature of AdSense that will ensure you that your ad codes are using safely only on your blog or sites. Let’s discuss about it more in details. Why Should Enable Google AdSense Site Authorization Feature? Google AdSense’s site authorization service allows you to keep your all ad code safe from using by others. You might know that anyone can view AdSense ad codes, publisher id and ad unit id. So, the question is, what you’ll do if someone steal your ad codes and use your adsense on another site or blog? Well, the solution name is Google AdSense Site Authorization. If you don’t enable Google AdSense site authorization and if someone use your ad codes in a different URL, ads will show on that URL and all clicks and impressions will be recorded and that’s enough to destroy your AdSense account anytime. That’s why your all owned sites that are using your AdSense ad codes must be listed in verified sites in Google AdSense site authorization. After adding site URLs in adsense websites list, you will not receive clicks and impression revenue from unauthorized URL that use your ad codes illegally. 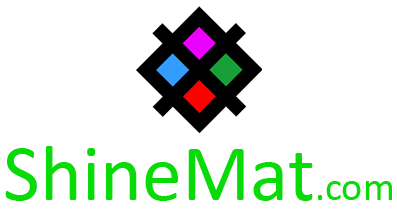 This is also called connect site with adsense and many top adsense sites use this feature. ALSO READ: How To Keep Google AdSense Account Safe From Disabled? 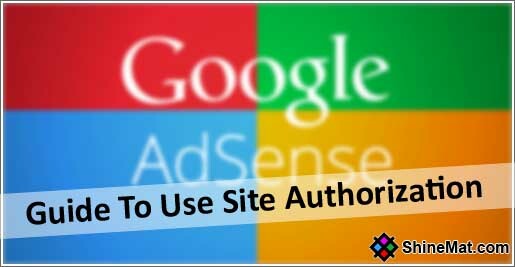 How To Authorize Sites In Google AdSense Site Authorization? First sign in to your Adsense account. Click Settings from left side menu. Click My Sites, and from "Manage sites" page, click vertical three dot button. And click Save to done. How To Add Your Sites In Verified List? Go to My Sites and click Add (+) button. Now enter your all sites URL in the list one by one. You will see your sites are in verified list. HACKING TRICKS: How To Find The Gmail / Google Account Creation Date? Note that subdomain URL will not block ads on root domain and subfolder pages. For example: If your add subdomain (shop.abcd.com) in your verified site list, anyone can use your ad codes in the root domain (www.abcd.com) or subfolder pages (www.abcd.com/services). This is so rare case but you should be aware if you use third party’s subdomain. That’s all dear for today. Hope you understand all about Google AdSense site authorization feature however if you have any question regarding how to add website to adsense please feel free to ask me anytime. Wishing you all a happy earning with AdSense. Stay safe and stay well. Allah Hafez.